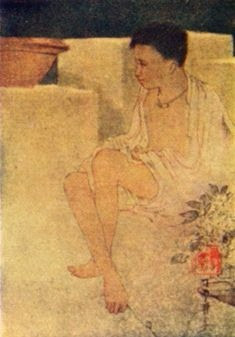 Most of Tagore’s poems for children don’t seem to be written for children at all. In his collection ‘Crescent Moon’ (1913) for instance, each poem is like a gentle admonishment to remind us, the adults, to tread lightly in the delicate, make-believe world of children, indulge in their fantasies and treat their trials with utmost seriousness. 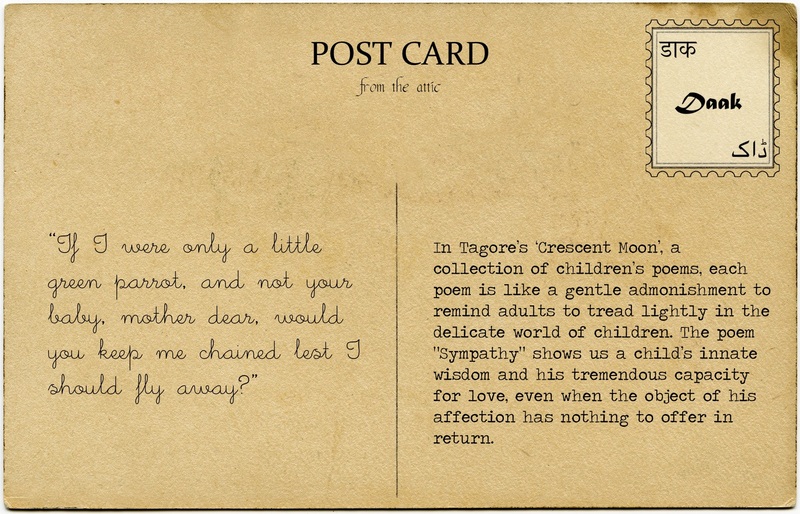 Through the primary relationships forged by children, Tagore shows us how fragile yet optimistic a child’s love can be. 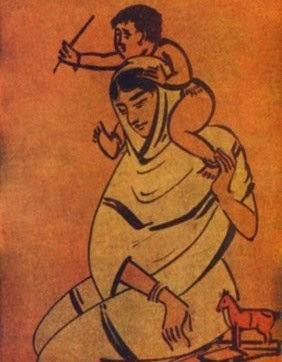 Although most poems in this collection focus on a child’s intimacy with his mother, the poem that stood out for us was one where the child expresses his complete devotion and love for animals, to the point of rebuking his own mother. The poem “Sympathy” shows us a child’s innate wisdom and his tremendous capacity for love, even when the object of his affection has nothing to offer in return. The child, revolting against his mother’s cruelty towards animals, is even willing to forgo her nourishing meals and comforting arms, arguably his most vital needs. IF I were only a little puppy, not your baby, mother dear, would you say “No” to me if I tried to eat from your dish? To read other delightful poems in this collection, click here. You can also order a replica of the original here.